The Single Operating Certificate from the FAA recognizes Alaska and Virgin America as one airline. Today is a big day for Alaska Airlines. The company received a single operating certificate from the Federal Aviation Administration, which means the FAA now recognizes Alaska and Virgin America as one airline. It marks a major milestone in the integration of the two airlines. Through that work, Alaska kept growing by adding 44 routes across its network, in addition to the 38 routes that were added with the acquisition of Virgin America. Alaska now has the most West Coast nonstop destinations of any airline, and now offers nonstop service to 42 destinations from the Bay Area alone. And with 15 airline partners, Alaska can take its guests to more than 900 destinations around the world. Obtaining a single operating certificate will not result in any immediate differences for guests when flying with Alaska or Virgin America. For now, customers will still use respective Alaska and Virgin America mobile apps, websites and airport terminals when traveling. 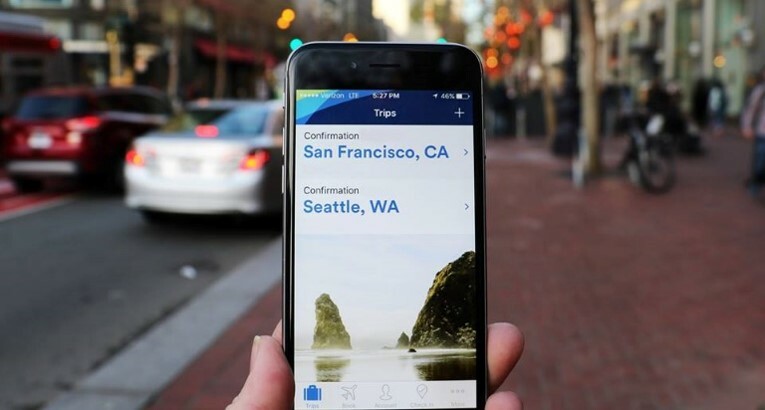 But when Alaska and Virgin America move to a single reservations system in late April 2018, guests can expect a more streamlined travel experience, with the Alaska mobile app and website serving their travel needs. When it comes to combining two companies, it’s a huge lift and takes a lot of effort. In working to obtain a single operating certificate, a dedicated team of employees from both carriers invested more than 70,000 hours to streamline and merge operating procedures, manuals and training programs. Alaska Airlines offers West Coast-inspired beer and wine choices. Over the summer, Alaska poured a rosé made with grapes from Washington’s Columbia Valley. More than 200 free movies and TV shows can be streamed directly to personal devices plus free texting on Alaska and now Virgin America flights. At some airports, both airlines have co-located operations, with more to come. Flyers at both airlines now enjoy a single loyalty program (Mileage Plan) and credit card. High-speed, satellite Wi-Fi is on the horizon for Alaska’s entire fleet of Boeing and Airbus aircraft beginning this spring. Upgrades to on-board menus, with more options in First Class; West Coast-inspired beer and wine choices; and new, fresh meal selections in the Main Cabin to join the popular fruit and cheese plate. Blue mood lighting will appear on more and more aircraft. Flight and ground crews begin wear-testing new uniforms designed by Seattle’s own Luly Yang, with a roll-out across the company in 2019. In January, the first Airbus plane gets painted with Alaska’s colors. Updated and expanded airport lounges are in the works, with New York’s JFK lounge opening in April, and the new 15,000 square-foot flagship lounge at Seattle opening next year. Every day, Alaska Airlines is focused on creating an airline people love, with great service and value, low airfares and a generous loyalty program. With caring employees and a constant commitment to safety, Alaska is eager to be the airline of choice on the West Coast, and ready for a 2018 filled with new accomplishments. 208 comments on "After today’s big merger milestone, Alaska and Virgin America prepare for more exciting changes in 2018"
Please start a direct flight from.Reno, NV to.Maui HI. We always fly Alaska and have to drive to Sacramento to catch a direct flight to.Maui. Since we live in Reno and go to Maui multiple times in a year, it sure would make the trip much nicer if we didn’t have to drive to Sacramento. Alaska Airlines flies from Nashville, Orlando, Tampa and Fort Lauderdale to Seattle, where you can connect to many flights to many cities in the state of Alaska. I hope that helps. Hopefully,the flight from Medford, OR, to and from LAX will be reinstated!!! It would be wonderful if Alaska Airlines would also waive the cost of the first piece of checked luggage for those Canadians who have an Alaska Airlines credit card. It seems a bit unfair that we have to pay for our checked luggage and Americans don’t. We love Americans and own a small home also in the BLI (Bellingham) area and so we do pay property, etc. taxes. Thanks for your consideration. can you please fly to Iowa! would love for my PNW airline to have a direct flight since I’ve become a midwesterner….. I have been flying on Alaska Airlines since I worked in Alaska in 1977! I have to tell you I’m amazed at the exponential growth the airline has accomplished since then! I dropped flying on United Airlines as soon as you introduced non stop service from Seattle to EWR and other east coast cities. Keep up the great work! I’ve been an MVP many times even made MVP Gold! Keep up the great work! I have been an Alaska Air Flyer for longer then I can remember; since you started up, if I remember correctly. I have watched you grow and it is good to see this very happy statement. I offer my congratulations to you and all the people in Alaska that have made it possible, it will be enjoyable to watch the continuation of your success. I am about to move myself and my wife to Costa Rica, and it’s so nice to know that CR is one of the international countries that Alaska Air serves, as most of my family reside in the Portland/Seattle area. Kind of a one stop service, well almost, between CR and the rest of the family and I know how well you treat your passengers, so when my wife and I fly or my family flies to visit I will never have a worry. Again, congratulation, Alaska Air. Good flying and great growth. Continue to treat your passengers as guests and VIP’s, and I am sure that your future is assured. It would also be nice for medical travelers to be allowed to have one checked bag and not be charged.Medicaid patients if traveling outside for treatment and dont have an Alaska airlines account have to pay for bags alot cannot afford to pay for a bag and majority will be gone for more than a day so this would help them alot and not have to worry travel and illness is already enough stress. Thank you for your time. What happened to the Spokane to Everett flight plan? I avoid SEATAC like the plague. The traffic on I-5 from SEATAC to Everett makes the SEATAC flight a non-option for me. I can drive to Everett from Spokane in just a bit more time than it takes to fly. The passes in the winter however can put a damper on smooth travels. I would definitely utilize a Spokane to Everett flight, and know of others that would as well. I have been a loyal customer of Alaska Air for many years now. I find it to be well run and to have fewer glitches than many other airlines. It has been especially useful for me since I live in Oakland and AA has always had great service to cities in the northwest. Now that you have increased your presence at JFK it would really be helpful to have at least one or two daily NON STOP flights OAK to JFK. Please! Oakland is fast becoming cosmopolitan and many tech people are relocating out of SF to Oakland. Increasingly there will be demand for more OAK flights. The airport is well run and easy to navigate. On the other hand SFO is a nightmare: poorly signed, hard to navigate, overly crowded and just plain awful. Former Virgin flyer – love the lounge, but more importantly to me is TSA pre check/Clear/Global entry at JFK terminal. Thanks. Congratulations on your acquisition. I love flying Alaska Airlines. The staff on the ground and in the air are very professional and friendly. Thank you for making my flying experience a happy one. Please add more flight options out of PDX to PVR as we travel from EUG, even if it includes a stop in So Cal. In the past we were able to fly from Eugene to Medford to LAX and to PVR, however, that route was eliminated. Then we had several options from EUG to SEA to PVR (sometimes with a stop in So Cal on the way). At present we have very few options without an overnight layover in Seattle (especially on the return flight). Alaska Airlines is my choice of airlines and has been since the 60″s when I was in the military in Alaska. Thanks. Congrats on the merger. Any thoughts of more flights to Kona,Hawaii from PDX. Any chance of regular non stop from LAX to IAH or HOU? I love flying Alaska and using my points for First Class upgrades! It would be even better if my sweetie who flies with me could eat a meal…please, add a gluten-free option in First for celiacs. It’s odd to be in First, waive the meal and have to pay for the main cabin snack pack to get gluten-free food. Congratulations on the acquisition. I love that you are providing extended service to northwest routes. I look forward to flying in an updated environment. Thanks for all you do. Please include more direct flights out of Bellingham WA. It would be so much easier than driving or flying to Seattle first and many Canadians also prefer this smaller airport. Thanks. I strongly agree. I enjoyed flights that were direct from Bellingham!!! I also strongly agree. More direct flights out of Bellingham (BLI) to Mexico would be wonderful. We are Canadians and much prefer to fly out of BLI rather than Vancouver, BC or Seattle, WA. Traffic and expense of travelling north of Seattle to Seattle is a real turn off. Senior rates would also be a nice consideration. Keep up the good work. Please consider a roundtrip daily nonstop from Oakland to IAD. Jetblue used to have this as a redeye going and early evening coming back. It was really nice but they dropped it 2 years ago. Been flying Virgin ever since and love it but miss being able to leave from Oakland. So much more convienent than SFO. Totally agree with a senior fare too! Looking forward to flying with you! I still would like for Retired Military to be add with the active duty. Just call for people who are military. I have only had that happen once on Alaska. You need to bring back the second flight to GTF. I have had to fly to HLN and rent a car to get to GTF several times! If you are going to only have one flight a day, you need to have it leave earlier in the morning so we can make make make connection. When will you establish a direct flight to Paris, France? Alaska is the best airline out there. Great crew, great service. Congratulations and thank you. Look forward to many more flights with even more comfortable seating and space. Senior rates would be great and much appreciated by all us seniors. Keep us the good work! How about some flights from Phoenix. Now on Alaska Air Lines you have to go to Seattle or Portland to go anywhere!! I love Alaska Airlines! You are my favorite airline. I haven’t taken a Virgin flight yet, but my friend has, and he loved it too! Would you please add more flights out of Bellingham? I know it has been difficult since the Canadian dollar has dropped, but a BLI to LAX or BLI to SNA or even better BLI to LGB (although you no longer have gates there) would be terrific! Or at least restore the BLI to LAS flight so you can connect to other places from Las Vegas. I know Allegiant gives you a run for your money at BLI, but I refuse to fly them as an airline. Alaska Airlines is head and shoulders about the rest, and the best airline around! Always in the forefront, Alaska, the only way to fly, except for the Horizon flights to connect (on the Mainland). Now that we live in Hawaii, I’m hoping and praying that Horizon comes into the Hawaii Market. We need another option flying inter-island and if Horizion and or Alaska was an option, we’d travel more. I love Alaska because it is the only airline with direct non-stop service from San Jose to/from Lihue. However, because it is mostly over water, there is no wifi, no meals, and no free movies. But I’m not too worried as I take my Kindle Fire and watch my pre-loaded content which includes a lot of movies. The only “wish” I would like is for bigger equipment to Lihue. It seems that *every* flight is packed, going or coming. What is meant by “free texting” exactly? Does it mean between 2 people on the plane or from/to someone on a plane to anyone? I’m not savvy on this obviously, thanks! Good question! The free texting uses the plane’s air-to-ground Wi-fi so people on the plane can text people on the ground using a texting app like iMessage, WhatsApp or Facebook Messenger. Thanks for replying on texting. Another question, I have a Kindle Fire HD 7th Gen but can’t find the GoGo Entertainment App in Amazon’s app store. Does it not exist for Kindle? how about you celebrate the event by offering anyone who has not flown alaska in the last year $50 off their flight if they book in the next month and fly within the next 3 months? I was hoping that Alaska would add more seats in First Class! With all the expansion, it has become difficult to get a first class upgrade even as a Gold Elite. Economy Plus is the next big thing but even that is not automatic for flights to Hawaii. Also, please add a vegetarian options to you First Class menu as well as more vegetarian hot meal options to food for purchase. Lastly, I was hoping that Alaska would remain an All Boeing Fleet! My wife and I flew the pdx ogg flight to maui, connecting in lax where we got on a Virgin flight for the first time ever. We were impressed immediately. Glad to see this merger. We love Alaska Airlines! Have been flying with AK since the early 90’s. Recently at Mineta San Jose AP, boarding takes a long 10 minute walk from checking in at the gate. WHY? Move it back to where it was please. I would love to see non stop service from Anchorage to Minneapolis with Alaska Airlines, not just Delta. And couldn’t we have just one day a week service direct from ANC to LIH – Lihue, Kauai? There are direct flights from ANC to Honolulu, to Mauai and to the Big Island – why not to Kauai? Great news! I’d love to see that same great service of mai tais, etc on flights to Hawaii! Also, how about some better HI connection flights from Colorado Springs. I get so bummed now because I generally have to fly on American partner flights to get to HI and I don’t get the free checked baggage or that fun aloha spirit that Alaska provides. More and more, I have to fly partner airlines and that is sad. So excited about the merger! Please don’t make the seats closer together, just flew on American from DFW to Ontario on a new plane and it was awful!! I would love to have you re establish flights from Ontario California to Mexico. PLEASE PLEASE we need an Alaska airline lounge in San Diego!! Congrats on the merger. I fly Alaska frequently but really wish there was an Alaska Airlines lounge in San Diego airport! PLEASE PLEASE PLEASE,! Congradulations on the merger. I really love the service and safety with Alaska prior to the merger, I hope this great trend will contiune into the future. Please Alaska, please, Please, PLEASE get some flights into and out of TWF. We are hostage to Delta and can’t go anywhere without going through SCL. TWF is a town of over 50,000 and we serve a population center of nearly 150,000 between BOI, SLC, SUN and PIH. A couple flights a day conncecting TWF to BOI and/or SEA would be a godsend. Delta has started to screw passengers with new stingy frequent flyer mile rules, and their ticket changing and luggage policies are draconian compaired to Alaska. The cost of the Delta TWF to SLC legs is rediculous. Please Alaska SAVE US!!!! You are the best!!!! I love Alaska Airlines and am a loyal customer, Congratulations on joining together with the Alaska Airlines/Virgin America partnership. I alter my travel plans so that I can fly Alaska!! Thank you for always making my travel a pleasant experience!! I second that emotion!! And with flight times that are smart for the passengers. A Lounge at SDO would be great.